Headache pain is an extremely common complaint. Acute headaches are classified as pain or discomfort experienced anywhere within the head or neck that begins very quickly, and rapidly gets worse. Given that the brain itself does not have pain receptors (thus, it is not sensitive to pain), headaches are caused by an irritation of the many structures surrounding the brain, including the cranium, muscles, nerves, arteries, veins, subcutaneous tissue, eyes, ears, sinuses, and mucous membranes. Tension headache: Tension headaches are experienced in the forehead or the back of the head. They usually follow a regular pattern, such that they may regularly begin in the late afternoon, remit by evening, and can occur every day. Patients may experience light and sound sensitivities accompanying the pain. Migraine: Migraine headaches are typically described as a moderate to severe throbbing pain experienced at the temples, back of the head, or behind the eye. On average, migraines can last between one and three days. Some patients also report experiencing aura symptoms that act as a warning of the impending headache. Auras are sensory experiences, such as metallic lines in the patient’s field of vision, which occur prior to the onset of a migraine. Cluster headache: Cluster headaches are typically experienced as severe headache pain localized to one side. This type of headache frequently occurs at night and is reported to frequently wake the individual up from sleep. The pain may last between thirty minutes and two hours. In general, headaches can be classified into two different categories: primary and secondary. Primary headaches are those that originate from a disturbance in the structures within the head or neck that are receptive to pain. 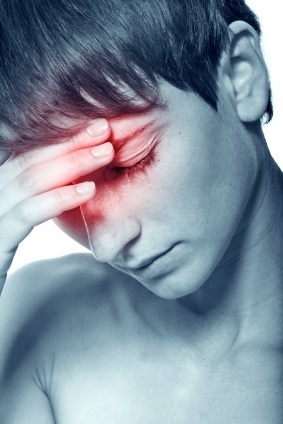 Primary headaches are not associated with any other conditions affecting other parts of the body. Headaches that do originate from a medical problem elsewhere in the body are considered secondary headaches. Some of the most common causes of acute headaches are stress, fatigue or lack of sleep, hormones, food, medical problems, and trauma. 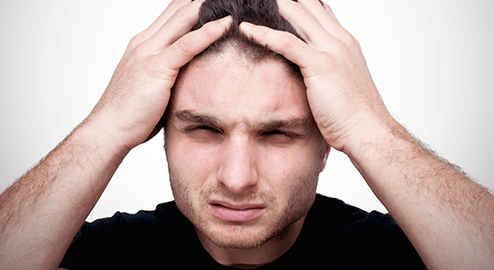 There are many treatments available for acute headaches. Indeed, for pain that is not severe or debilitating, it is recommended that patients attempt conservative, at-home treatments first to manage pain. More specific recommendations are often made, depending on the type of headache. For the majority of headaches experienced, analgesics are widely utilized for effective pain management. Patients with chronic and severe headache pain may wish to consider alternate therapeutic methods for pain relief. 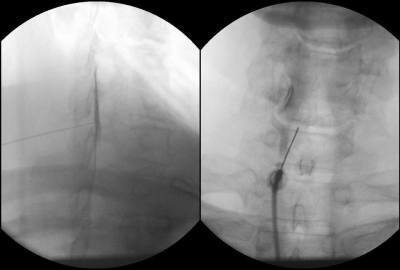 Indeed, there are a number of treatments available, including occipital nerve stimulation, botox injections, cervical facet injections, cervical epidural steroid injections, occipital nerve block, sphenopalatine ganglion block, supratrochlear nerve block, supra/infraorbital nerve block, and radiofrequency ablation. It is recommended that you speak with your physician when considering these intervention options. For individuals experiencing chronic headache pain, symptom tracking is recommended. Individuals are asked to track their headaches, recording information such as time of onset, degree of pain, time to pain’s highest severity, length of pain episode, associated symptoms, patient behavior immediately prior to onset, atypical situations that may have occurred, etc. This will help the patient identify triggers, in order to initiate a more preventative treatment plan for managing headaches. A number of medications are available for treating headache pain. Non-steroidal anti-inflammatory drugs (NSAIDS) are quite effective, readily available, and act quickly to relieve headache pain. Physicians have also prescribed medications whose mechanisms of action include constricting blood vessels to help reduce or relieve symptoms of headache pain. While there is very limited data available, the medications currently receiving empirical support as a prophylactic treatment for headaches are amitriptyline, fluoxetine, gabapentin, tizanidine, topiramate, and botullinum toxin type A. Both biofeedback and cognitive-behavior therapy have received some support for providing headache relief. These therapies are non-pharmacological and assist the patient with recognizing symptoms and their triggers, teach relaxation and coping skills, and thereby allow the patient to gain some control of reducing their own symptoms of pain. Acute headaches are sudden onset headaches in which pain is located anywhere in the head and neck, and severity worsens rapidly. There are two types of headaches: primary and secondary. Primary headaches result from a disturbance in the pain-sensing tissue within the head and neck. Secondary headaches are associated with other medical conditions within the body. For both primary and secondary headaches, these underlying conditions span from non-serious, such as tension headaches, to serious and requiring immediate care, such as meningitis. A number of treatment options are available and are determined based on the specific characteristics of the headache. Speak with your physician to develop an appropriate course of treatment.